INCHEON, SOUTH KOREA – Japan allowed seven runs in an error-strewn second inning of a 10-4 loss to Taiwan in the Asian Games baseball semifinals on Saturday. 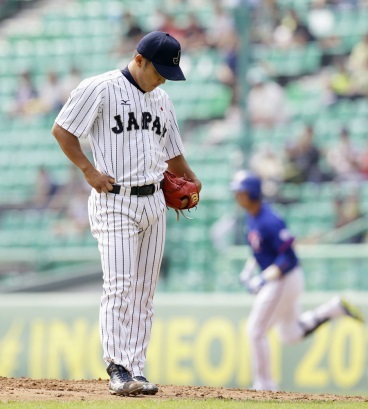 Japan, which also was knocked out in the semis by Taiwan at the 2010 Asian Games in Guangzhou, China, took a 1-0 lead in the bottom of the first after Takuya Fujishima drew a two-out, bases-loaded walk. 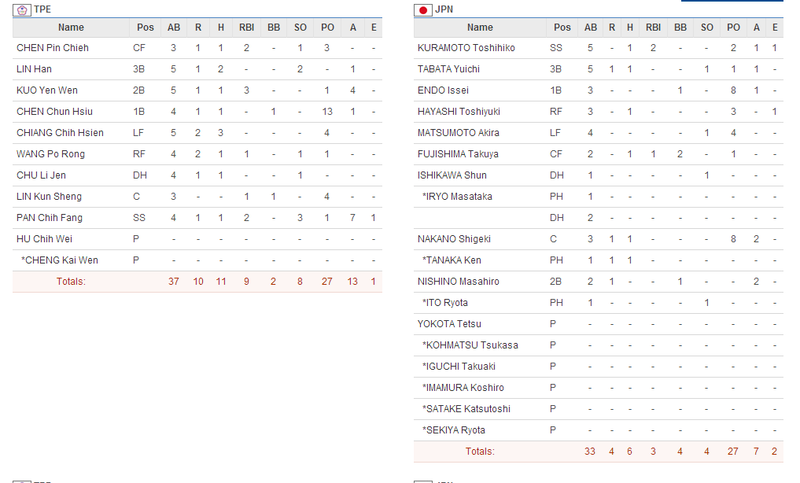 But Taiwan jumped on starting pitcher Tetsu Yokota in the next inning, chasing him with two outs after tagging him for five runs — but none earned, due to a couple of errors that would invite Kuo Yen-wen’s three-run home run. Japan bridged the gap in the bottom half, scoring twice to make it 7-3, but Taiwan, which lost to South Korea in the 2010 final, pulled away for three more runs in the third that all but doomed Hirotami Kojima’s team. Cheng Kai-wen, who relieved starter Hu Chih-wei with one out in the third, cruised for 6-2/3 innings, allowing one earned on just three hits and no walks. Chen pitched five seasons in Japan for the Hanshin Tigers and Yokohama BayStars. Japan is made up entirely of corporate league players while Taiwan called up 16 professionals, 10 of who play in the minor leagues in the United States.